It all fall apart. now my desktop native notebook asks me to "sign in" then a separate online window opens, with the version that is on my lap top.. non of it is synching right.. it's like 3 different notebook windows. Also, everyone should know that they are logging your notes and they arenot private. they are being mined for data. boo! Would be nice if Annotate… was included so pictures or documents could fit nicely in the notes. I hate to mention this but Evernote has this feature and it’s great but Evernote has serious problems now and after 7 years of paying, I’m leaving them. Keep on top of NOTEBOOK. 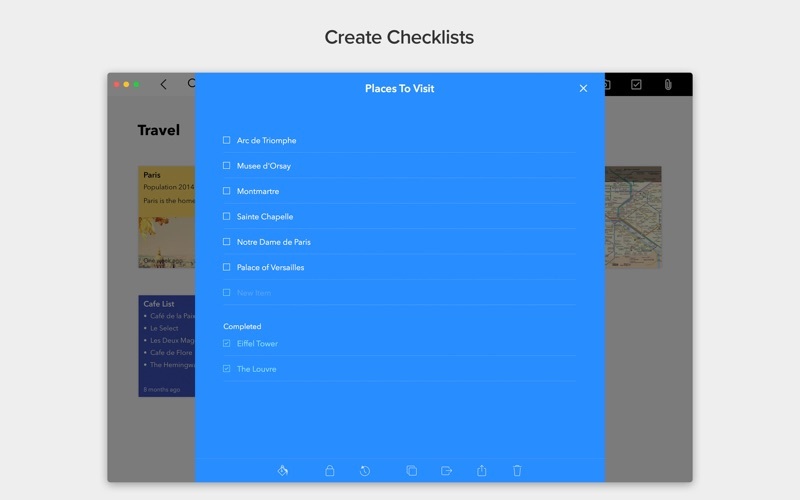 The app is well designed and is super easy to use - that’s what attracted me to it at the first place. The Notebook was an escape from the other distracting note apps for me. The main issue I have with Notebook is the inability to export whole notebooks or multiple notes at the same time. I have hundreds and can’t do much useful stuff with them outside of Notebook. The frustration comes not in the fact that I just want "another feature,” but in the fact that “export” is the core functionality of any notes / writing app. And I find it impossible to believe that a $2b company has just forgotten to include it. There are many ways to import from other apps like Evernote, but not export… Is this a stick strategy? If so, it’s a really bad one. I’ve moved to Scrivener, which has been a game changed for my writing. I am really amazed by the functions of this app, and I never could expect a free app to offer such quality services! I love using it a lot, and I sincrerely recommend it to my family and friends for its functions and simple art concept. 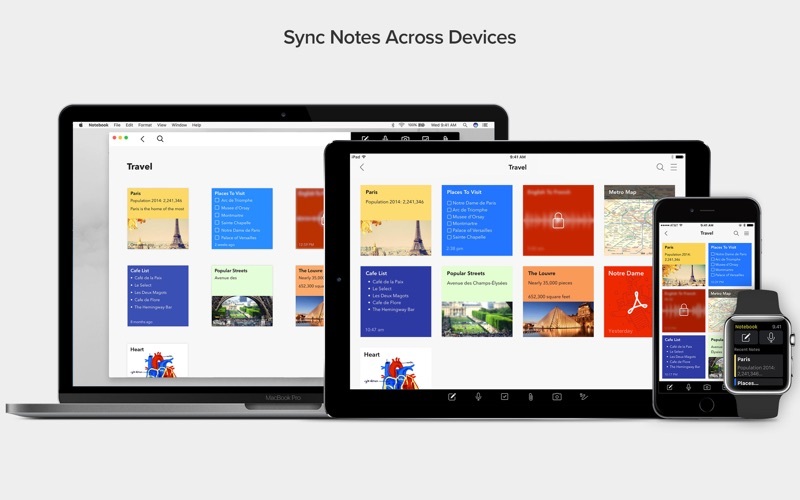 It is extremely user-friendly from my perspective since I use it on both my Mac and ipad pro which helps me greatly to manage my study notes/calendars/to-do-list, and so on! It surely buys me more time and soothes my pains of organizing notes. My only suggestion is that I hope the developers could consider to let users amplify the doodle notes on thier macs and phones because when I jot down handwritten notes on ipad pro, and then when I look it on the mac it's not that crear (but yea, surely readable) for easy quick look. So anyway, it doesn't do harm to leave it like this, however, I just wish to be able to amplify it. Thank you thank you, yo awesome app developers! Love and appreciate your work!! 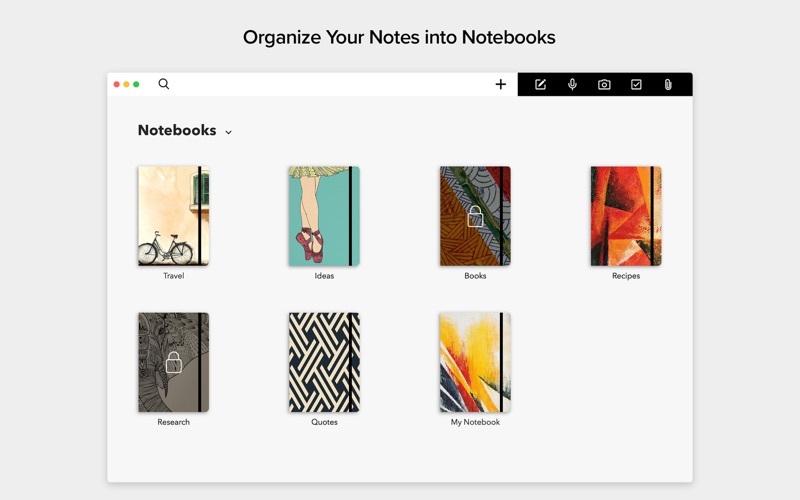 Love this app, the design is very sleek and the individual notebooks are very cute! I've been having some issues however, where my notes have not been saving. This has become a big issue, especially considering that my lecturer doesn't post the slides online. Sadly I've had to move the majority of my notes back to a word doc, hopefully this issue can be fixed soon! how does it work? I dont get it. 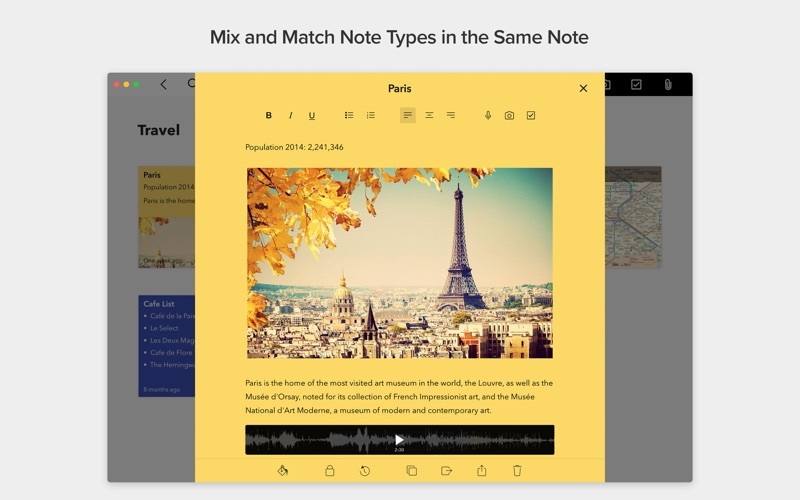 This app is everything needed in a notebook, it's almost perfect except for missing features that I'd absolutely love to see: - Font variety - Text size - Text colors or highlight colors - Sketch notes on Mac!!!! I use a Wacom tablet and I'd love to be able to draw on my computer. I have an iPhone but not an iPad, meaning I can't really use the sketch notes feature often. A nice concept but seeing it integrated into the Mac version would be the best. Great app so far and beautiful! 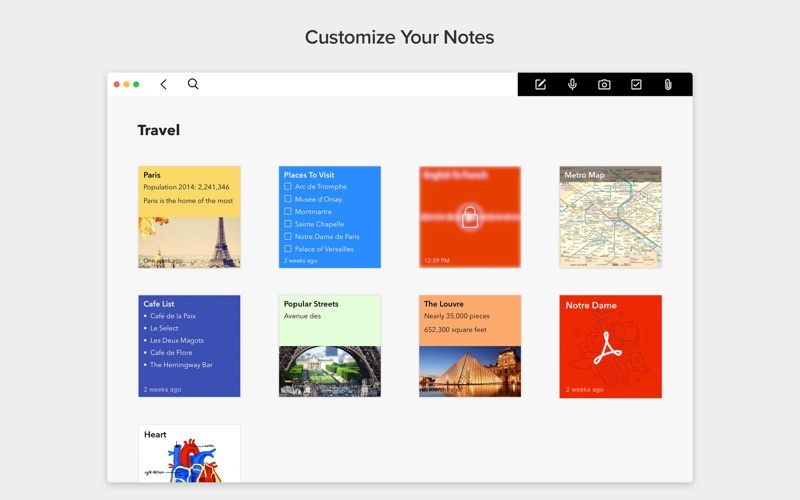 But let's face it–notes are pretty dang central for a lot of people and migrating to a new app can be risky–especially with lack of export features. No matter how great your app is, easy-to-find export features are not only critical in case the app doesn't suit a user's needs but admirable–because a company isn't assuming a user wants to be trapped. I have read that you have export features availble, but I have still not found them in the app or web versions. Exporting all data should be right there, clear as day. I am nervous about migrating without that. Очень удобная программа, интефейс и функциональность без слов хороши. Очень нравится мульииплатформенность и синхронизация между всеми устройствами.